Nestled among the Leeward Islands, where the Caribbean Sea meets the Atlantic Ocean, Antigua and Barbuda comes close to many people’s idea of paradise. Known as the ‘land of 365 beaches’ – one for every day of the year – the twin-island state has a population of more than 90,000 people and is considered one of the most beautiful places on Earth. Growth in the citizenship by investment industry has exploded of late. For those whose freedoms have been restricted by the politics of their home country, acquiring second citizenship presents the chance to become a global citizen. As well as offering greater mobility, citizenship and residency investment programmes provide families with greater security, better access to education, a higher quality of life, stability, and wealth protection. 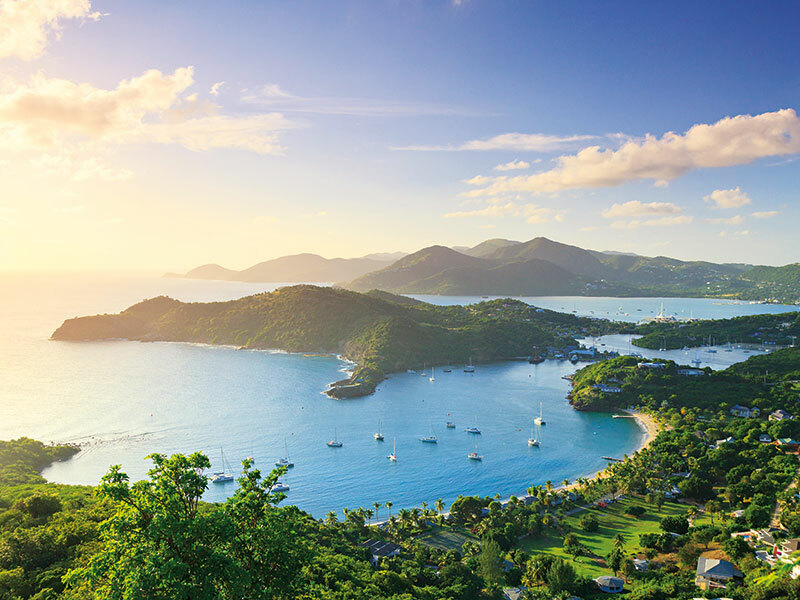 Ideally positioned to respond to these emerging demands, Antigua and Barbuda established its Citizenship by Investment Programme (CIP) in 2013, offering citizenship through four affordable initiatives. This path to citizenship is suitable for both single applicants and families of up to four, necessitating a $100,000 (€87,800) contribution, with processing fees of $25,000 (€22,000). For families with five or more members, this contribution rises to $125,000 (€109,750), excluding the relevant processing fees. These figures represent a 50 percent reduction on the standard investment and will only apply until October 31, 2019. Individuals can also earn second citizenship by making a minimum real estate investment of $400,000 (€351,200). This sum must be invested in an approved project, with ownership being retained for five years. Until October 31, two related-party applicants can make a joint investment to this effect, with each investing a minimum of $200,000 (€175,600) to qualify. The CIP’s third citizenship initiative seeks to encourage business investments and requires individuals to contribute $1.5m (€1.32m) to a local venture. Parties of two or more must provide a joint investment totalling $5m (€4.4bn), with each individual supplying a minimum of $400,000 (€351,200). The fourth and final option tenders citizenship in exchange for a contribution to the University of the West Indies Fund. Applicants selecting this option will be required to make an investment of $150,000 (€131,700) for a family of four or more persons – this option is not available to single applicants. Participation in this initiative will entitle one member of the family to a one-year, tuition-only scholarship at the University of the West Indies’ Antigua campus. 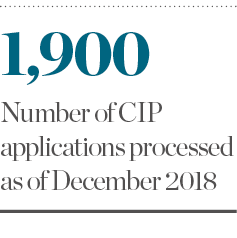 The CIP is a well-regulated programme, duly cognisant of its collective responsibility in the community of nations and the need to protect all borders, while at the same time fostering improved human relations. We believe that citizenship should be granted to those most deserving. As such, all applicants are subject to stringent background checks. The programme also has a ‘restricted countries’ list, which prohibits applications from Afghanistan, Iran, Iraq, North Korea, Somalia, Yemen and Sudan. There are exceptions to this ruling, however: if an applicant resides outside of these given countries, if their source of income is generated elsewhere, or if they are lawfully a permanent resident of either Canada, the UK, the US, Australia, New Zealand, Saudi Arabia or the UAE, they may still be granted second citizenship.